The ways we die early. 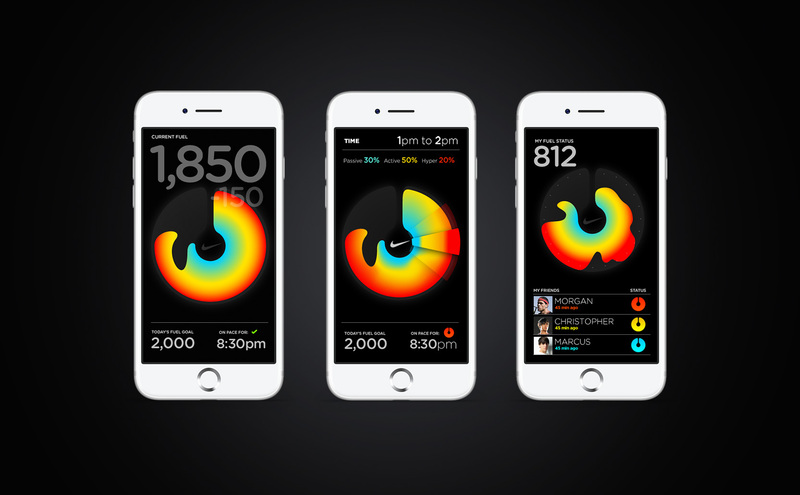 NikeFuel is a biometrics tool that helps users track their physical activity. These conceptual designs explored more liquid ways to visualize a users progress.